This month I return to the approach of picking the most interesting comments from across the blog, and I am going to try to restrain myself to cherry picking instead of harvesting. This is not easy: I have often considered some sort of award for the best comment of the month but the quality of comments on this blog is so high I can never pick a winner. Thank-you to all the excellent contributors. 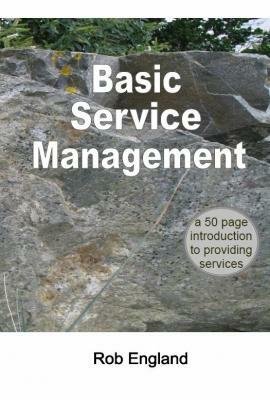 ...ITIL is like Communism/Socialism - it is the greatest thing on the planet on paper and makes perfect sense. BUT...start involving people in it and the whole thing inevitably becomes corrupt - because people are corrupt, want power and influence, and don't want a service to work as basking in reflected glory isn't half as fun as, or full of kudos as, being Red Adair. You can't pull a cow through a drainpipe. The millions of WAP-enabled phones in the world have already proved that. I've already got a phone that plays mp3 and browses the internet. As you say BFD. My phone has a 3.5" screen. And runs Windows. And it is too small to do business on. The iPhone doesn't change jack. ...If you have consultants continuously on site over a period of years you might want to question what they are doing. If, on the other hand, they spend three months a year working with you then that's probably a good sign. - Confirmation bias/errors: we focus on pre-selected segments of the observed and generalize it to the unobserved. "If org performance improves after an ITIL implementation, then ITIL raises org performance." - The narrative fallacy: we fool ourselves with false causality because it makes sense and fills our thirst for a good story, as Taleb explained. "The ten most successful CIOs implemented ITIL. Ergo, if you want to be a successful CIO, implement ITIL." ...if someone is putting necks on the line with models that take risks by predicting something that can be proven wrong, I'd call that science. ...I'm not sure the certification is that important to me. I'll let you know if I retain that view after losing a contract because of v3 certification. ...Considering the push by 'the powers that be' to encourage the idea of the IT Professional, an individual who takes recognised qualifications that are understood and respected in the market place, this has frankly made our 'profession' look distinctly amateurish, as we cannot even be seen to agree a suitable measure for our own skills. "A model will always be the model-builder's view of reality."??? Arrgh! Help me Mommy, I'm turning into a post-modernist!! ...there needs to be some investigation into Moses’ influence on ISO 20000, where did all that ‘thou shall’ come from? "But in all my experience, I have never been in any accident...of any sort speaking about. I have seen but one vessel in distress in all my years at sea. I never saw a wreck and never have been wrecked not was I ever in any predicament that threated to end in disaster of any sort." Here was I worrying about whether I had enough ®s on my ITILs, while out there on eBay there are people perpetrating the most appalling copyright violations and abuses of trademark. Here are a couple of examples. To the two thousand or so of you who bought stuff from these guys: SHAME! Today let's look closer at the recent survey I quoted previously. We will discuss the lack of decent empirical evidence for ITIL in a subsequent blog. Vendor surveys are a poor substitute (I know, I worked for one), but when they are all we have then we should at least listen to them. Which industry standards are relevant to my organization and which are redundant? 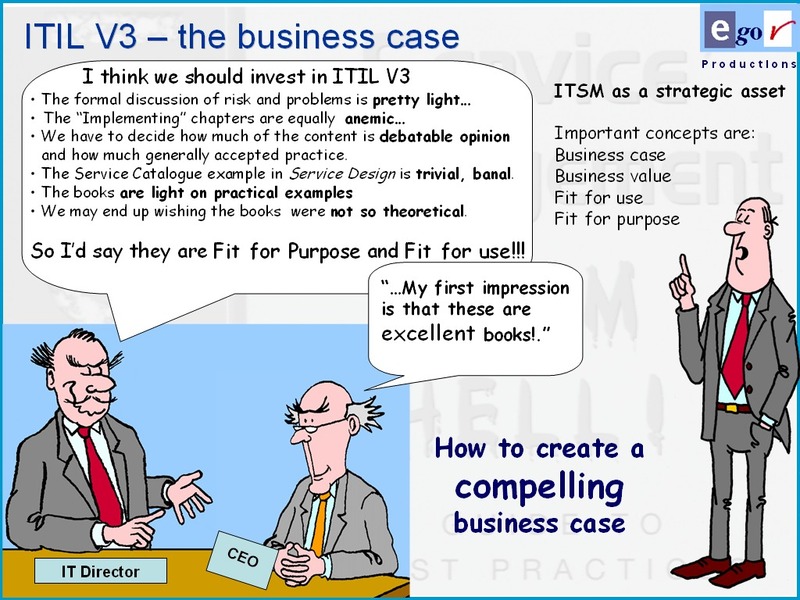 On these pages you will find a summary of what the IT Skeptic knows about ITIL Version 3, kept up to date as facts unfold. Note: the IT Skeptic isn't trying to sell you anything except my own books and the ads on these pages. Advice on anything else is impartial and not aligned with any vendor or organisation. This is the 21st Century. We shouldn't be falling for that old "I saw it on a computer so it must be true" stuff. A model will always be the model-builder's view of reality. This work is © Copyright Paul Wilkinson 2007. I will pass on any requests regarding its use. Gentle readers, have your say. This blog exists for you (otherwise I would just mutter to myself). What works on this blog and what doesn't? Where should the blog pay more attention? It will take years to fully read and understand the five core ITIL Version 3 books, so this is very much a superficial first impression. But first impressions count, right? [In this dumbed down world cynics might argue they are everything]. It may come as a surprise to some readers that I am capable of such a thing, but I like these books.